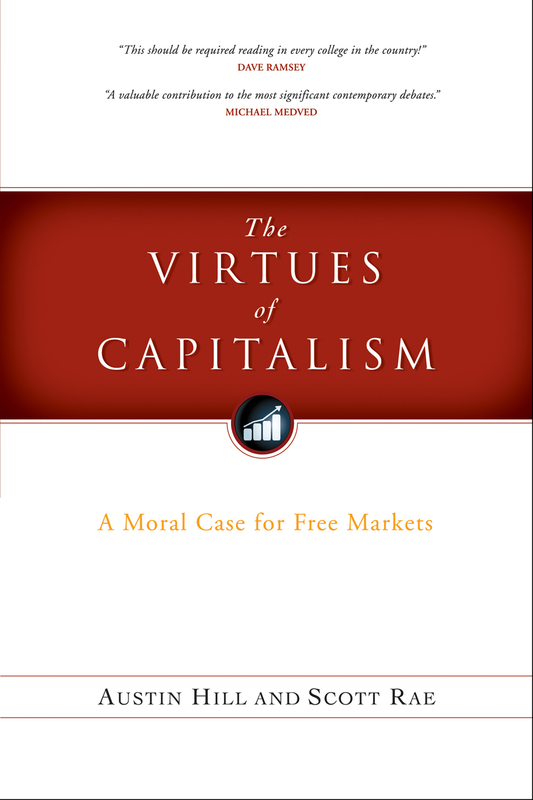 Below is part two of our interview with Scott Rae about his latest book (with co-author Austin Hill), The Virtues of Capitalism: A Moral Case for Free Markets (Northfield Publishing, 2010). Noted sociologist Daniel Bell wrote in his influential 1976 book, The Cultural Contradictions of Capitalism, about how capitalist systems are constituted by distinct yet related social systems: the moral/cultural, the economic, and the political. How are these systems and their institutions interrelated? I agree that these three systems function to provide checks and balances for the others. Typically, when the moral/cultural system fails to provide moral limits to the economic system, then the law steps in. And the frequency with which the law is involved testifies to the relative weakness of the moral/cultural system. I think the financial meltdown is a good example of the failure of both the law and morality to rein in excesses on Wall Street—but both are reacting, mostly appropriately. What are the “virtues of capitalism”? The virtues that are both required and nurtured by participation in the market system are things like service, trust, promise-keeping, truthtelling, diligence, thrift, and what might be called “entrepreneurial traits,” such as innovation, creativity, etc. As you know, University of Southern California philosopher, Dallas Willard, has been working on a book length project concerning “the disappearance of moral knowledge.” In the absence of moral knowledge, in what sense, if any, can the virtues of capitalism expect to thrive, let alone survive? I would suggest that even though moral knowledge is on the wane, there is still a reservoir of some shared values, sufficient to make the economic system function. Think for example of how many transactions are completed that are based on trust—most credit transaction fit that description. In the absence of moral values, capitalism becomes Darwinian, and then it becomes essentially state-sponsored, as the law steps in to regulate more and more, analogous to what exists in China. What do you take to be the most substantial criticism of capitalism? How might it be considered and answered? That capitalism does not distribute the goods of society in an entirely equitable way. Capitalism is very good at creating wealth, but distribution is another matter. I don’t have a problem with merit being a primary basis for distribution. And I believe that the economy is not a zero-sum game—that the rich can get richer without it being at the expense of the poor. But I am troubled by the increasing gap between rich and poor and worry about what that might do to social stability if that’s a long-term trend. What do you take to be the most prevailing misunderstanding of what capitalism is and what it does? That it is based on greed. Michael Moore called capitalism a system of “legalized greed.” Adam Smith said nothing of the sort in The Wealth of Nations. He distinguished between greed and self-interest (which the Scripture does too) and maintained that the social virtues of compassion and justice moderated the pursuit of self-interest. Scripture commends self-interest (Phil. 2:4—look out not only for your interests, but also for the interests of others). Could capitalism, as an economic system, fail to adequately work, in some sense and in some way, if a culture is driven by the satisfaction of desire as an end? You get people in business without ever thinking about what they are in business for, other than making money and advancing their careers. This is why people can’t wait to retire, because their work has become divorced from any meaningful purpose. Capitalism will not cease to work—it’s just that the market will reflect those values, as it is already beginning to do. You can learn more about The Virtues of Capitalism by visiting the book's Facebook page. Part three of our interview with Scott Rae continues here.